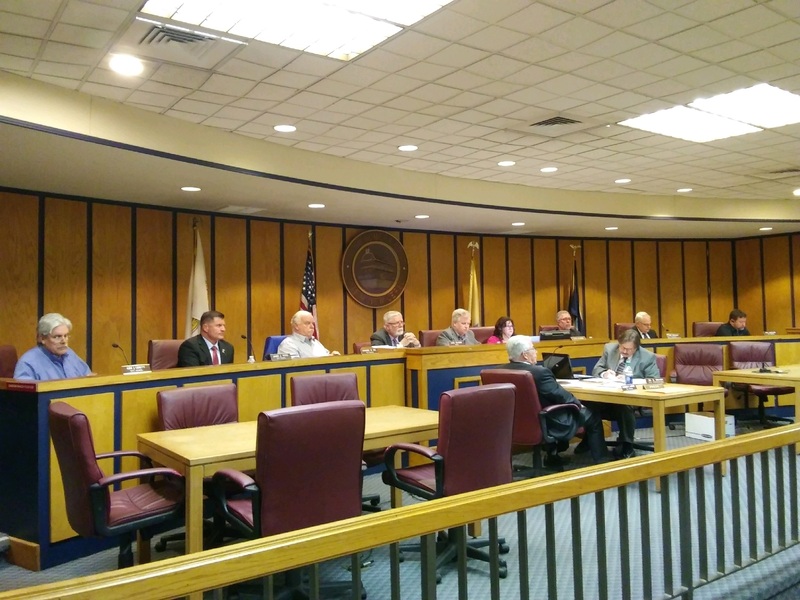 Somers Point City Council introduced a $16.39 million municipal budget Thursday night that calls for a 2.43-cent increase to the tax rate for 2019. The amount to be raised by taxation is $11.3 million, up from $11.1 million the year before. If the budget is adopted as it stands now, that would mean the tax rate would increase from 96.5 cents per $100 of assessed valuation to 99 cents. For an average home assessed at $210,000, local taxes would be $2,079 for the year, up from $2,049 in 2018. Somers Point has seen an increase in municipal taxes over the last few years. Business Administrator Wes Swain did not elaborate on reasons for the potential increase to the 2019 budget. After the 2018 municipal budget was adopted, he explained some of the reasons. He said a loss in ratables and the costs for demolition of the city’s abandoned buildings were two major reasons residents saw an increase in taxes. 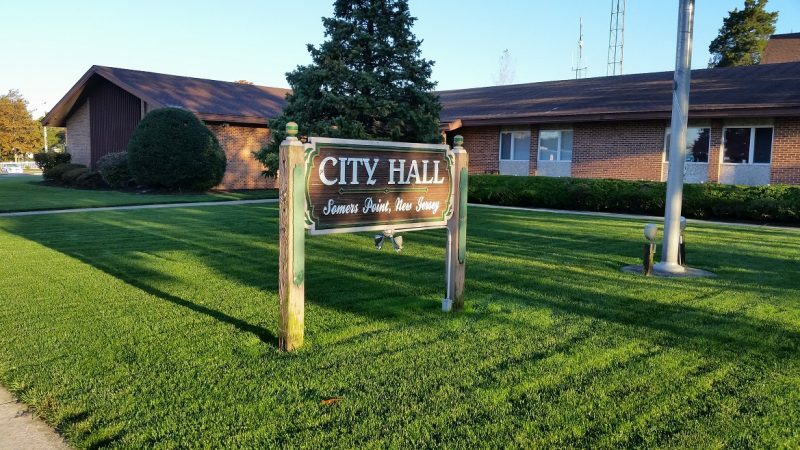 Swain stressed that City Council could go back and amend the proposed 2019 budget after a public hearing next month. Mayor Jack Glasser reads the proclamation to Kwami Gyasi. 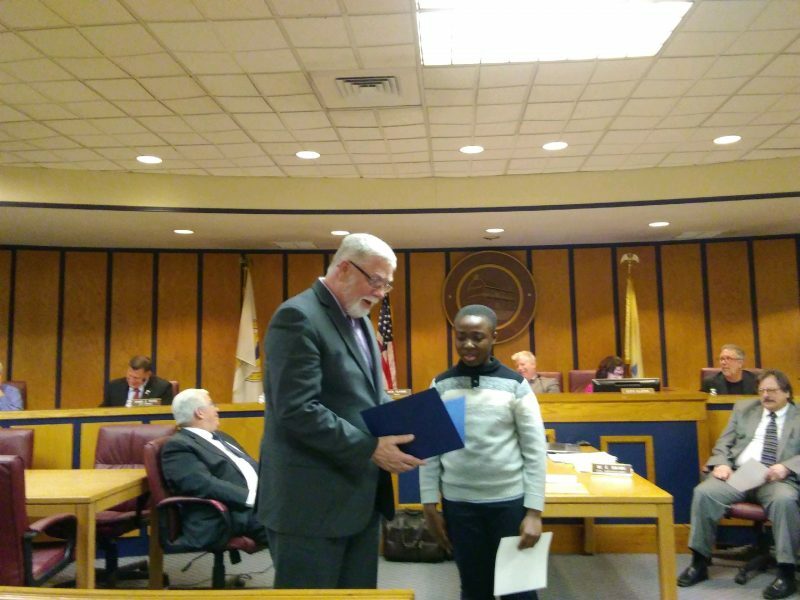 Mayor Jack Glasser presented the honor to Kwami moments after he read his award-winning poem to the audience. Councilman Carl D’Adamo told Kwami that he deserves this recognition. All too often, young people devote so much time playing video games or are very focused on sports, that the arts sometimes do not get the attention they deserve, D’Adamo said. McGuigan told Kwami he has a gift, one that he will be sharing with people when he is in his 90s. McGuigan then joked that when Kwami is a senior citizen, he will recall the time when the City Council honored him for his poetry.